The latest version of the CORYS simulation workbench ALICES© has been enriched with new features geared to engineering. One key development is the ability to edit a unit’s Instrumentation & Control after having simulated it, without changing software. 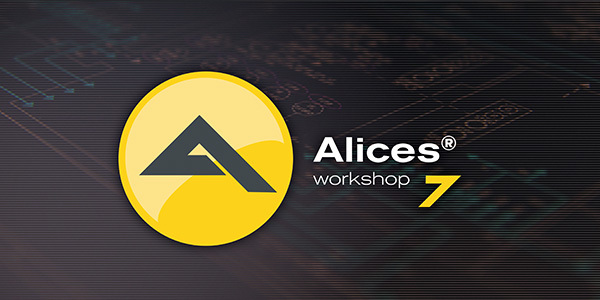 The newly-released v7 of ALICES© gives plenty of space to engineering considerations. It was inspired by a joint project with EDF that has been running for two years now. Users were already simulating and validating I&C diagrams on the workbench, but were keen to be able to edit them on the same software, without having to go through a translation stage. New features have been created to address specific EDF requirements. In parallel to this process, they were also standardised, industrialised, and incorporated into v7, making them accessible to a broader user base. The outcome is a coherent whole that can be effortlessly integrated into the design process, cutting down on the stages between the production of I&C diagrams and tests. What is more, it allows for a wide range of customisation options. Version 7 does away with the need to generate I&C documentation in the form of Word files or HTML content, as well as the need to perform updates and track errors. All this is now embedded directly in ALICES© source code. This ‘up-to-the-minute’ documentation eliminates duplicates and discrepancies between versions. Specific page settings can also be defined when exporting documents: references to objects or pages, a title block to add information, cover pages, etc. I&C objects can now be edited in such a way as to display only those inputs and outputs that are actually being used. This is especially useful in early design stages, when not all functions have been interconnected. The feature enables recipients to receive a simpler document, showing only the specific information they require. A plug-in device allows ALICES©v7 to be tweaked to in-company construction rules, for instance by creating an object naming function, or configuring settings that comply with in-house practice. These plug-ins are developed and implemented by CORYS. Users may not be able to decide whether to organise their work by splitting it up into sub-systems, or into functions; ALICES© allows them to identify I&C functions in all sub-systems. This avoids subjecting user contacts to information overload: the number of systems they receive can be restricted to a select few – or even one – and/or certain functions allocated to the system(s) in question: for instance, regulation or backup modes. Units are operated by several dozen programmable machines. Allocation to this hardware can be displayed on the I&C diagrams. Doing so makes it possible to devise test scenarios that take the physical architecture into account, and provide details at this scale of transfer times, asynchronicity, redundancy, faults to be dealt with, and so on. A tool to compare simulator versions has also been added, encompassing I&C diagrams, models, initial states, and software configurations. In addition, there are filters that allow targeted comparison: focusing on a specific part of the simulator, the largest discrepancies, and the like.